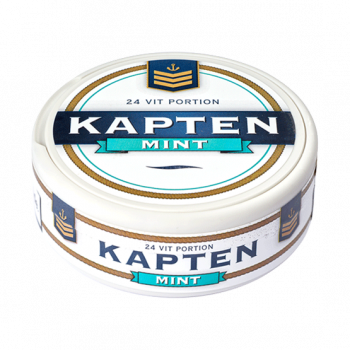 Kapten White Mint Portion is a new white portion snus that makes the other Kapten sorts companionship on the ship. 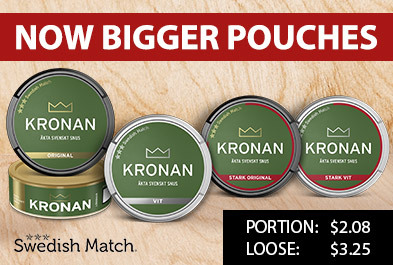 Here, the traditional flavor with the classic elements of bergamot has a touch of mint. The Kpten White Portion is slightly less moist, which makes it run significantly less. Each box contains twenty four portions.